On our way out of Cherokee, NC, our bus had some issues. While winding through the Smoky Mts, the entire bus shut off- no electricity, engine, or steering! I was at the front and “got” to witness how close we came to rolling down the side of the mountain. Our bus driver handled the situation like the pro he is. There happened to be a shoulder on the other side of the road. He managed to muscle the bus into it and stopped just short of the end of the asphalt. Whew! About 20 minutes later, we hit a rock and blew a tire. A huge “pop” for a huge tire. Again, there happened to be a shoulder that the bus was able to limp to in order to get out of the way. The other bus didn’t see what happened and was well ahead of us. Nobody had any reception whatsoever. 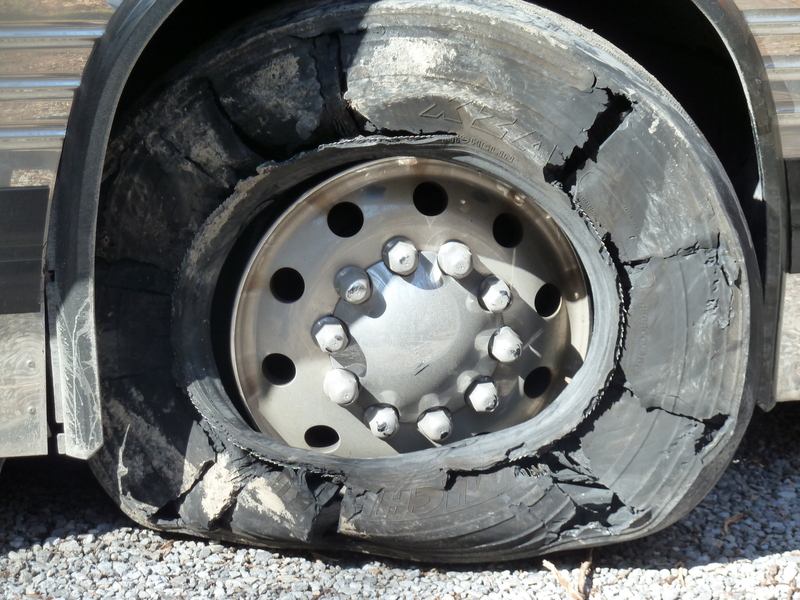 Luckily, a park ranger had parked close by and was on his way to take care of the rock that blew our tire. He was able to get in touch with the other bus. We all piled onto it and were on our way. This entry was posted on March 20, 2011 at 9:31 pm and is filed under Uncategorized. You can follow any responses to this entry through the RSS 2.0 feed. You can leave a response, or trackback from your own site.